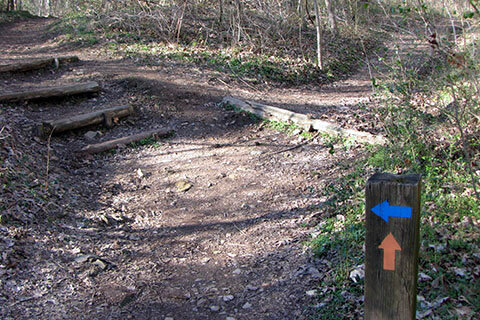 Nashville offers an amazing array of trails. Most of the trails are very popular on good weather days. While hiking the trails, remember that your safety (and the safety of your group) is your responsibility. Plan accordingly. The trails of the area have a bit more of a wilderness feel to them, than the greenways. There are still other trails in Nashville and the neighboring areas. These are just the ones we have hiked. They are all recommended. The trails are more difficult than the greenways. Don't forget to carry the essentials on the hike. The trails were sorted by location, not mileage. All of the trails (except for the Radnor Lake trails) make good trail runs. Dogs are not allowed at Radnor Lake State Park (except on the road) or at Long Hunter State Park's Bryant Grove/Couchville Lake areas. Dogs should always be on a leash and under control. So for those who like to walk on the wild side, 100 Miles of Trails to of course naturally walk with the Mayor.